According to the Bureau of Labor Statistics, many jobs are expected to grow in the next decade. Interior design is one of those jobs. 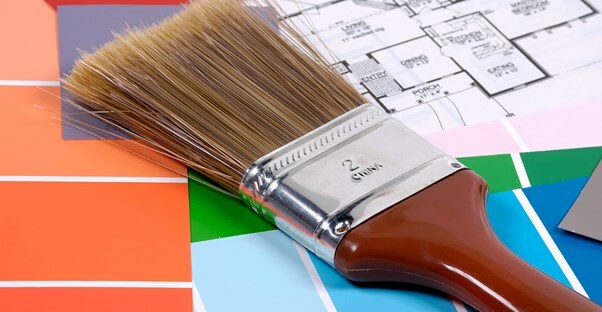 The BLS expects interior design to grow 13 percent from 2012 to 2022. With that in mind, those seeking employment as an interior designer can have hope knowing the market for these jobs should be readily available by the time they complete their required education. Simply put, interior designers make living spaces comfortable, stylish, and safe for their clients. They may work in the business setting or private residential sector. They determine what decorative items will work within the property. These decorative items include but are not limited to lighting, colors, furniture, and other materials. Additionally, interior designers must be aware of building codes and regulations. They must also know how to read blue prints. Many interior designers seek higher education and obtain a bachelor's degree. The median annual salary for an interior designer was $47,600 in May 2012, according to the latest reports from the BLS. Interior designers can work independently and with agencies. The earning potential is, of course, uncapped for those who work for themselves. As stated above, the job growth for interior design is expected to rise as much as 13 percent in the next decade. However, many of these jobs will be available in bigger cities. There will be more jobs available in big cities like Atlanta, LA, and New York. However, the competition will also be greater. It may be helpful to look for jobs in one of the bigger cities within your own home state. Also, it will be harder to start your own interior design business if most of your competition is big agencies that have been around for a long time. However, this is true no matter the type of business. Do Many Interior Design Graduates Find Jobs Quickly after Graduating? This is certainly a question with a lot of variables. Unfortunately, there is no easy answer to this question. There are many graduates that report finding interior design jobs within a few months after graduating, but it can take over a year for others. As a general rule when trying to find an entry level position, it is easier when you know people in your related field. Therefore, network with as many people possible. Talk with the manufacturers and furniture sales reps in your area. Many of them have inside knowledge concerning which design agencies are hiring. They may also be able to help you with recommendations. Attend events related to interior design and make sure to network. Lastly, don't be afraid to volunteer your services to bigger design firms or showroom agencies. Your free work with these companies could land you a position. Knowing all this should help you gain an advantage by the time you graduate. Above all else, stay positive because success does not happen overnight. There is certainly money to be made in interior design, but it will be rewarded to those who work the hardest.